Copyright: The copyright of images submitted remains at all times with the photographer. 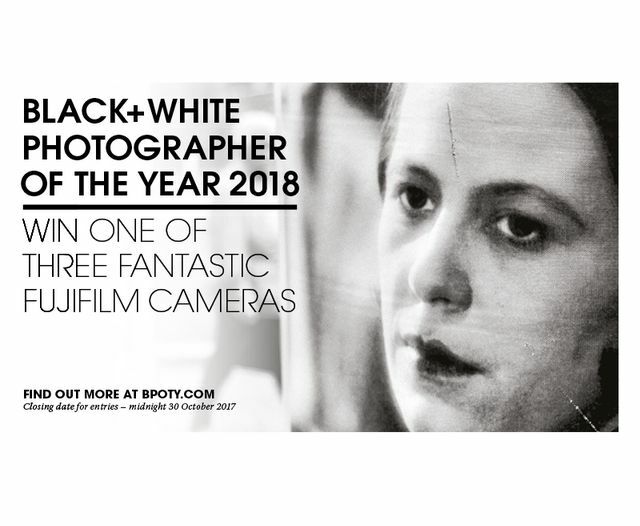 GMC Publications, Black+White Photography and the sponsor will require the rights to use the submitted images in direct association with the promotion and reporting of the competition only. Who can enter: Open to amateur and professional photographers from around the world, aged 18 and over. We are looking for the best in contemporary black & white photography. The World of People (from formal portraits to street photography to photojournalism). The Creative World (let your imagination roam, from still life to abstract, using old processes to smartphone filters, whatever you think fits). The overall winners will be announced in the February issue (issue 212) of Black+White Photography, which is published on 18 January 2018. Image requirements: JPEG RGB format at 300ppi with a compression quality of between 8 and 10 (between 75 and 85 when using Adobe Lightroom). The image should be sized between 1500 pixels and 2100 pixels on its longest side.